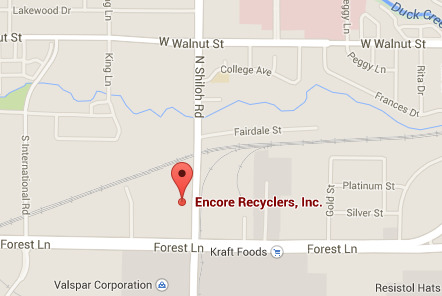 Encore Recyclers is a full service buyer of both ferrous and non-ferrous materials! The following are only a few examples some of the more than 100 grades of ferrous and non-ferrous materials handled and processed at our facility conveniently located in Garland, Texas. We provide excellent service and pricing. NOTE: Aluminum is never magnetic, so if you’re wondering if you have aluminum on your hands, just test it with a magnet. Cast Aluminum is one of the most common types of aluminum brought in for scrap, and consists of grades 356 and 380 aluminum. 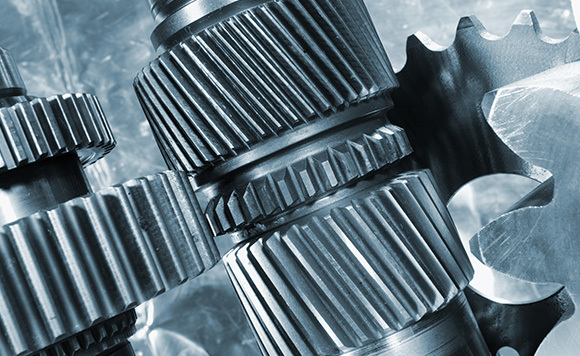 Cast aluminum often takes the form of cookware, outdoor furniture, and machine components such as connecting rods, pistons, housings, and radiator tanks. Cast aluminum is one of the lower-value grades of aluminum, but you can maximize your sale price by removing contaminants such as iron, glass, glue, caked-on paint, and wood. Regardless, Encore Recyclers will purchase your cast aluminum. Sheet Aluminum is another commonly found type of aluminum, composed of 3000 and 3003 grade aluminum. Sheet metal is used to make car bodies, airplane wings, medical tables, roofs for buildings, and many other applications. Again, this is a lower-value aluminum similar to cast aluminum, and removing contaminants can aid you in getting a better sale price. Aluminum Cans immediately spring to mind when you think of metal recycling. 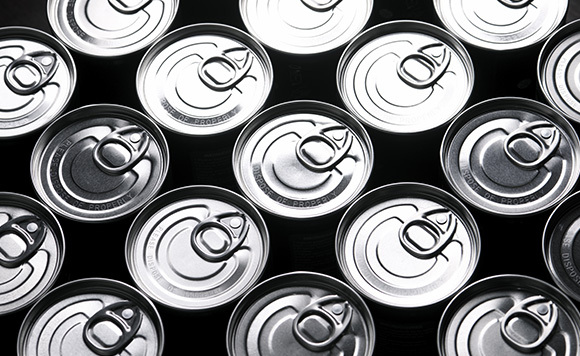 Cans can be brought in crushed or uncrushed, but they should be empty. Aluminum foil and aluminum food containers are generally considered aluminum sheet metal. Extruded Aluminum is often used to make windows and ladders, and it is produced by extruding aluminum through a die. It can be confused with sheet aluminum that has been folded and formed, but you can sometimes identify extruded aluminum from the brush-like marks and/or 90º angles that result from the extrusion process. Insulated EC (Electrical Conductor) Wire is used worldwide to carry electrical current. You will almost always find it coated with a black enamel or plastic, and while bare aluminum wire is worth more, so much weight is lost when stripping the wire that it’s generally not worth the trouble. Non-Insulated EC Wire is a very high-grade aluminum wire—in most cases, 99.5% pure. 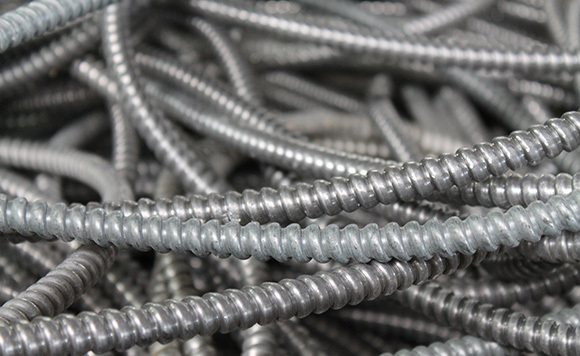 EC wire has a high value compared to the other forms of aluminum you see here, but it should be stripped of enamel, plastic, or rubber insulation to maximize its value. ACSR is a type of stranded cable that is commonly used by power companies for overhead and ground wire installations, river crossings, and ground wire. ACSR stands for Aluminum Conductors Steel Reinforced. The center strand is steel, while the outer strands are aluminum. It can be confused with aluminum EC wire, so check it with a magnet to tell the difference. 6061 Aluminum is the most commonly used aluminum alloy, containing magnesium and silicon as its major alloying elements. Originally called “Alloy 61S,” it was developed in 1935. It has good mechanical properties and exhibits good weldability. 6061 aluminum is one of the most common alloys of aluminum for general purpose use, found in bike frames, auto rims, aircraft, scuba tanks, yachts, automobiles, and many more. It has a relatively high value. Aluminum Alloy Rims are a high-end, 356 grade aluminum item. Remove the tire to maximize your sale value, and look out for chromed steel rims that can resemble aluminum rims. MLC Clip is a very clean aluminum product with a sheet-like appearance. MLC stands for Mixed Low Copper. MLC Clip generally falls in the mid-range of aluminum values. Aluminum Turnings and Slag are byproducts from factories and shops using various grades of aluminum. The value of these products tends to be on the lower end, as they take on weight from cooling liquids used in the manufacturing process. PLEASE NOTE: Copper is not considered a contaminant because it is used in the production of brass. If there is enough copper in your brass, it may be consider Copper #3 instead of brass. Yellow brass is an American term for 33% zinc brass, and it is the category that most brass items fall into. For “clean” brass that’s worth the most money, all non-brass contaminants such as plastics, aluminum, and steel must be removed. 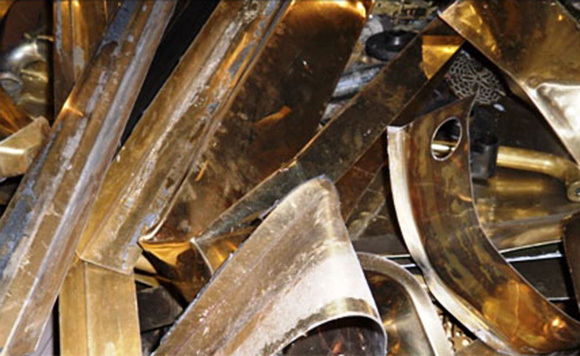 Silver coatings commonly found on brass are not significant enough to qualify brass as “dirty.” Encore Recyclers will buy your brass scrap metal, regardless of whether it is clean or dirty! Red brass is an American term for the copper-zinc-tin alloy known as gunmetal, and an alloy which is considered both a brass and a bronze. Red brass is also an alternative name for copper alloy C23000. It may also refer to ounce metal, another copper-zinc-tin alloy. Red brass is not as common as yellow brass, but it can be found in irrigation sprinklers, water meters, and well pump equipment. Red brass has a higher value because it contains more copper than yellow brass—which also gives it its reddish color. As with yellow brass, you can earn more money for your red brass if it’s cleaned of plastics, aluminum, and steel. Rifle Brass consists of spent (gun) shells. Brass shells can be separated from iron and aluminum shells, but nickel-coated brass shells that are silver in color can be grouped with regular brass shells. Please, no live ammunition. Brass Slag/Turnings can be recycled, but their price varies based on contaminant levels from the manufacturing process, as well as the type of brass. Copper or Brass Radiators are found in older cars bring some of the best prices for scrap material. If you don’t know whether you have a copper/brass radiator or a newer model aluminum radiator, you can check for the blue-green patina typical of copper, or scrape the flanges of the radiator and look for a pink copper color. If you remove the few steel pieces that are attached to the radiator, you are more likely to get the price for clean copper #3. Aluminum Radiators are common in newer cars and can easily be removed from the front of the car or truck to be sold for scrap. For the clean aluminum price, you can remove the plastic reservoir and any steel attachments, and be sure to drain the coolant from the radiator. These types of radiators are not as valuable as copper/brass ones. Aluminum Transmissions consist mostly of steel that is wrapped in cast aluminum. As such, they are a low recovery aluminum. Catalytic Converters, used in automobile exhaust systems, are good for scrap as well. Prices vary widely for these parts, but they are good for scrap, as they can contain rare or precious metals such as rhodium, palladium, and even platinum. 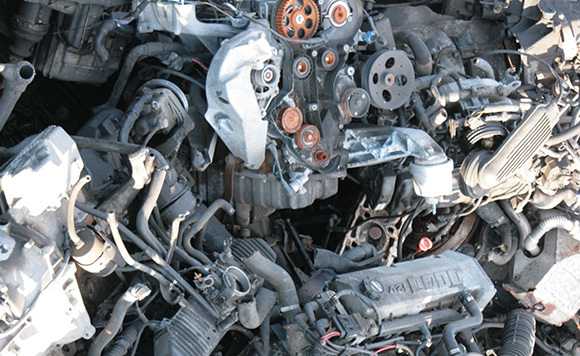 Starters and Alternators contain copper, and are a mid-value scrap item. Heater Cores are small brass or aluminum radiators that power the heating systems in automobiles. To get the maximum value, you can remove iron, steel, and other contaminants. Fluids are best drained before bringing in a heater core. Bare Bright Copper is a type of copper wire also known as Bright and Shiny Copper. This is the highest value grade of copper; it is clean, bright, and looks new, with minimal patina and no plastic coatings or paint. Copper tubing and copperplate do not count as bare bright copper. Bare and bright copper needs to be solid conductor wire in 14 gauge of larger. #1 Copper is the second highest value copper grade. #1 copper can have a dark brown, black, blue, or green patina, or it can be clean and shiny. 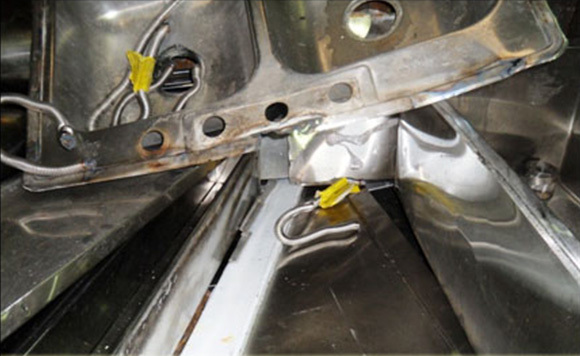 It cannot, however, be a lightweight gauge or sheet metal. Pipes and tubes cannot have silver solder. There should be very little, if any, calcification inside pipes/tubes. Lastly, there should be no coatings or paint. #2 Copper is the third most valuable grade of copper. This copper may be a little dirty, coated in zinc or nickel, or soldered with lead or silver. Sheet and lightweight gauge copper are graded #2. Some calcification and debris inside copper pipes and tubes are permitted. #3 Copper has a lower value than #2 copper, as it is contaminated by other metals. Often it will have brass or steel fittings. Insulated Copper Wire (ICW) comes in its own grades. ICW 300-500 MCM will sell for the best price, as it is a premium insulated copper wire. Its ratio of copper to insulation must be at least 90% or higher, and it usually comes in a large diameter (greater than 1/2″). ICW #1 is a valuable, insulated copper wire used by electricians. It must have a copper-to-insulation ratio of 75% or higher, and may include small and large-gauge insulated wire. To test if wire is ICW #1, it will generally hold its shape when bent by hand. 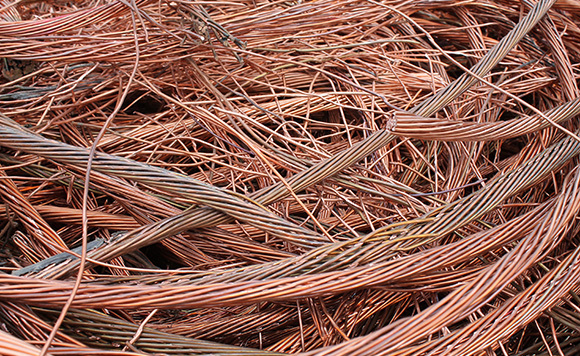 When stripped, this wire is generally bare bright copper, but it may not be worth the effort to strip it. Please note that ICW #1 Romex is a grade of wire, usually flat, that has extra insulation and a lower percentage of copper (65% or higher). Ask one of our buyers for advice if you have any questions! ICW #2 is used in household applications and is not worth as much as ICW #1. The ratio of copper to insulation must be 50% or higher to qualify as ICW #2. If you bend ICW #2 by hand, it will generally not hold its shape. Stripping insulation from this type of wire is not usually worth the effort. ICW #3 copper wire yields the least copper, and it includes all wire with a copper-to-insulation ratio of 50% or less. This type of wire is found in electronics, appliances, and automobiles. As with ICW #2, stripping the wire is not recommended. Electronics products such telephones, radios, computers and cell phones are items we rely on daily. These products make up the bulk of electronics that have the potential to cause the most environmental damage because of their hazardous ingredients. This type of waste is referred to as electronic waste, or e-waste. Each day, various types of consumer electronics are upgraded or scrapped in favor of technological advancements. In the process, scores of computers, VCRs, cassette decks, CD players, cell phones and bulky video cameras become what is known as electronic waste (e-waste). E-waste should not be considered “waste.” It is a resource. Useful materials such as gold, silver, platinum, titanium, copper, aluminum and other components can often be extracted and reused. 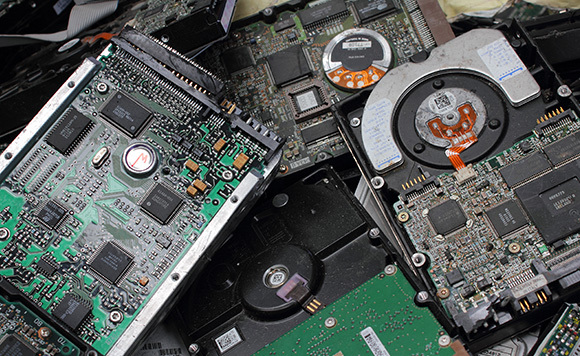 With an increasing array of environmentally friendly options available, please consider recycling your old electronic devices and components at Encore Recyclers. Together, we can reduce the amount of e-waste landfilled and put our outdated items to good use. In addition to steel (an alloy of iron and carbon), Encore Recyclers also offers recycling of cast iron. Cast iron is one of the most widely used metals throughout industry and is 100% recyclable. It is easily recoverable and processed for reuse. Lead Acid Batteries power vehicles and provide backup power for air traffic control towers, hospitals, and other critical operations. Batteries account for more than 80% of today’s lead consumption. Fortunately, according to Battery Council International, a full 96% of the lead used in battery manufacture is recycled today. Auto/ATV Lead Acid Batteries are the most common and most valuable form of battery accepted for recycling. Most of the value comes from the lead itself, but the plastic and acid may be able to be recycled as well. Lead acid batteries are 60% lead alloy by weight, and 40% plastic and acid. The lead alloy is particularly special because it also contains trace amounts of copper, selenium, tin, antimony, and other elements that improve its electrochemical properties. 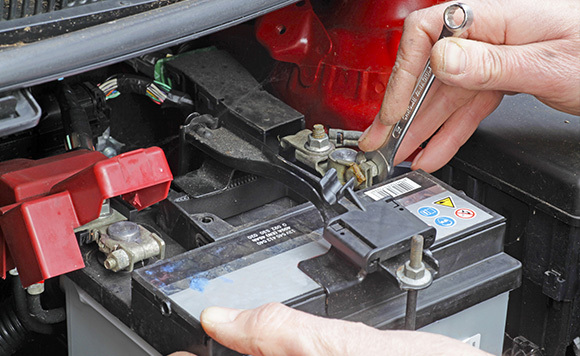 Deep Cycle Batteries are similar to standard auto batteries, but carry a Deep Cycle label. They are often used in PV solar battery banks, golf carts, and boats. Soft Lead. Soft lead scrap often originates from clean lead cable stripping and roofing/flashing lead sheet used for building purposes. This particular type of soft lead scrap is mainly used by lead ingot and lead alloy manufacturers, as well as lead sheet manufacturers. Because the lead scrap is almost the same as the quality needed to make lead sheets, the refining costs are minimal. This is one of the most efficient ways of recycling lead. Wheel Weights and Other Lead Weights/Ballasts. Lead has a high density that has always made it a good choice when trying to add weight to a boat, fishing line, or wheel. With minimal processing required, it is perfect for recycling. Lead Radiation Shields are used to shield people from radiation during X-rays (lead aprons at the dentist, for example), and in university and hospital settings. Scrap lead can also be found in the form of containers for natural radio-nucleotides and other radiation sources, but the amount of radiation left in this lead typically makes them unsuitable for recycling. Encore Recyclers does not accept radioactive materials. It’s particularly important to recycle lead. Lead in municipal landfills contributes to significant health problems. Lead is toxic because it preferentially replaces necessary metals such as zinc, calcium, and iron in biochemical reactions. For example, lead displaces calcium in the reactions that transmit electrical impulses in the brain, diminishing the ability to think clearly or recall information. Obviously, this is particularly problematic in children whose brains are still developing. Magnesium alloy parts are most commonly produced by die casting, which generates scrap magnesium in the process. Die casting foundries often manage their scrap internally in a closed-loop system, but when scrap magnesium is sold on the open market, it can be used for steel (alloying) or anodes. Recycling magnesium is critical, because using recycled magnesium consumes only 5% of the energy used to produce primary magnesium. Nickel is a hard, silver-white metal with properties that range from strength, to corrosion resistance, to high ductility, good thermal and electrical conductivity, magnetic characteristics, and catalytic properties. 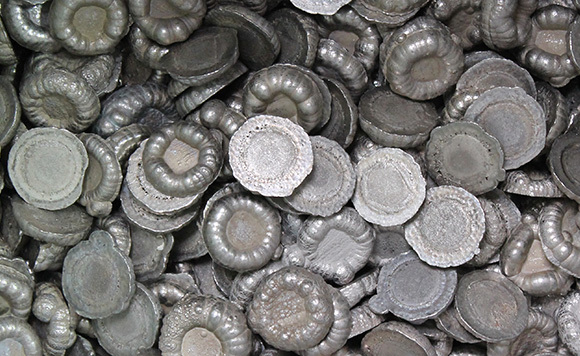 Nickel is an alloying element most commonly found in iron, stainless steel, and copper materials. When alloyed with iron, it becomes a strong bulletproof product used in armor plating and bank vaults. Alloying nickel with steel creates a strong, high temperature stainless steel commonly called Inconel and Monel that is used in machine parts and in aerospace applications. Nickel has also been alloyed with copper to make a product called Cupro nickel, used primarily in desalination pipes. And of course, copper has been alloyed with 25% nickel to make the U.S. 5-cent nickel, which cannot be recycled! You can also find nickel in NiCad (nickel cadium) batteries and a very powerful magnet called Alnico. Nickel usually commands a higher value than most other common metals, but it’s lower than precious metals. Prepared Steel or #1 Iron is one of the more valuable scrap metals we buy. It is characterized by its heaviness and thickness (a minimum of 1/16″). Find it in pipes, steel plate, and structural steel. 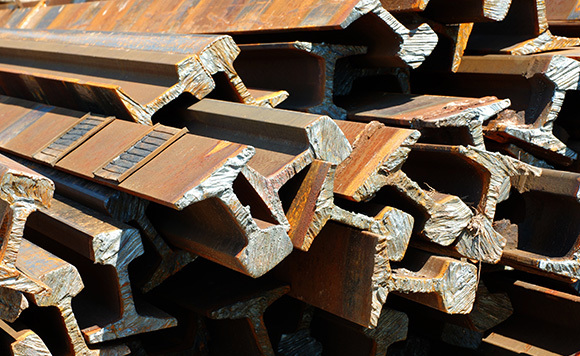 To qualify as prepared steel, it must be cut into pieces that are no longer than 3′ long, wide, or high. Unprepared Iron or #2 Iron is more common than prepared iron and sells for mid-value prices. As with prepared iron, unprepared must be heavy iron. Unlike prepared steel, it is not cut into smaller pieces to prepare for the steel mill. Find unprepared iron in pipes, tractors, farm equipment, and large tanks. Tin is a nonspecific industry term used to describe a wide range of common irons and steels. These combinations of iron and steel are not true “tin” in the sense of the periodic table of elements; instead, it describes light, thin sheets of steel. Find “tin” in soup cans, home appliances like washers and dryers, auto bodies, and pipes or sheet metal under 1/16″ thick. Stainless Steel (Non-Magnetic) is a sub-category of steel that can be scrapped for rates similar to most aluminum. Find it in kitchen sinks and commercial kitchen fittings. Stainless steel must be 300 series grade in order to be purchased as stainless steel, but all other grades can be mixed in with carbon steel grades (Prepared, Unprepared, Tin). You can test for 300 series stainless steel by checking it with a magnet; it should have very little magnetic pull, if it has any at all. Titanium is found in common household items, such as jewelry, watches, eyeglass frames, and cases for mobile phones or other electronics. High quality tools such as drill bits, bolts, and wrenches might also be made from titanium. You can also find titanium in motorcycle parts, such as exhausts, brake components, handlebars, and clutch levers. The manufacturing process for titanium products creates a significant amount of wasted material, or “new scrap” titanium. Aluminum manufacturers use titanium to improve casting and reduce cracking in aluminum alloys, which generates this type of new scrap. 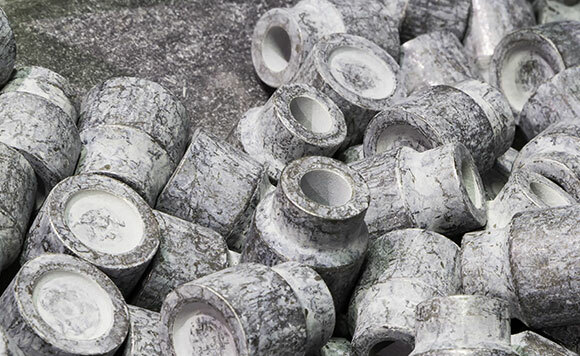 Recycled titanium from used components, such as heat exchangers, is termed “old scrap.” During recycling, old scrap is melted into titanium ingots using vacuum-arc-reduction or cold-hearth melting. Titanium manufacturing generates a significant amount of scrap, and usually only 30% of the titanium used ends up in the finished product, resulting in a large quantity of titanium scrap.